If you are under the impression that small water pumps can’t do a lot simply because of their size, you would be wrong. In fact, in certain cases, a small water pump can be of far greater help to you in what you might be doing than a larger pump could ever be. Further, although there are certainly cases where a larger water pump would be better for a given job, for others the same pump would only represent a huge waste of time and energy. The truth is that small water pumps are a priceless tool when your goal is to move water and other liquids through a system quickly and efficiently. If there is a disadvantage to small water pumps, it’s the fact that there is such a wide selection of them available that choosing which one is best for your use might be your biggest problem. One of the most important issues you need to decide before you can select the right small pump for your use is your application. Plainly stated, what will you be using your small pump for? Small pumps are excellent for uses such as in aquaponics systems, fountains, draining water beds and aquariums, cleaning up spills, and much more. Of course, even within these applications there are other decisions that need to be made in order to allow you to select the perfect small pump for your use. For example, if you are using a small pump for an aquaponics system, you will need to have a pump that will allow you to submerge it into the tank, or if you don’t want to submerge your pump but still need it to be resistant to water such as in the case of pumping a fountain, you would still need a pump that won’t short out if it gets wet. On the other hand, if you don’t foresee your pump getting wet, there are still small pumps that can help you accomplish your job. What Are Other Advantages of Small Pumps? Using a small pump presents many advantages over using a larger pump, depending primarily on the application. 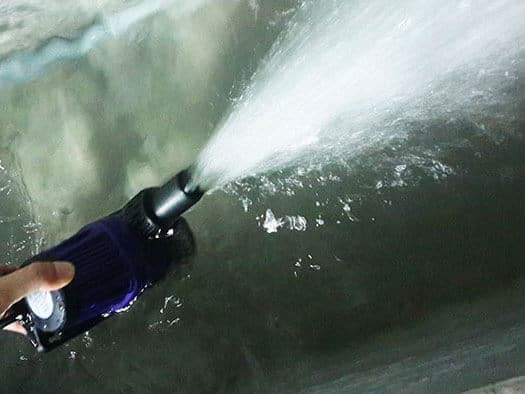 What surprises many users, however, is that despite their size, small water pumps can deliver excellent pumping capacity, which leads to the prime benefit of having that capability but not taking up the extra space to do the job. For example, in the case of a small pumping job such as an aquaponics system, not only can a small pump deliver all of the water moving results that would be needed in such a case, but a small pump could easily be submerged in a water with fish and not disturb them. This same purpose could not be accomplished, or as easily accomplished if a larger pump was used. Even if a user might be concerned about the practicality of using a small pump in their application, it is of great benefit to know that thanks to technology, in many cases small pumps are simply scaled down versions of their larger counterparts, often even made by the same makers. Either way, anyone who might need a pump for their application would do well to explore the use of small water pumps for their use. The time and money they save could prove itself in the long run.